Watched a Barbara Walter's special on the all time greatest television programs. As I suspected the number one all time best televsion program as selected by one million voters was Lucille Ball's I Love Lucy Show. 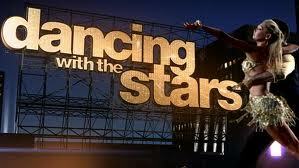 However, when it came to special categories the Reality TV category selection was Dancing With The Stars. Dancing with the Stars is in fact one of the biggest television shows on earth, teaming celebrities and professional dancers to compete for the coveted mirror ball trophy. On these cruises guests will have the opportunity to learn the steps, meet the stars, and join in the fun. These theme cruises will feature “Dancing with the Stars” events including dance lessons; a chance to meet the dancers, ask questions and take photos; and a dazzling production starring celebrities and the famed dance pros, complete with glamorous costumes and routines from the TV show. Currently scheduled to appear on select sailings are two-time champion pro dancers Mark Ballas and Kym Johnson; pros Tristan MacManus and Lacey Schwimmer; and some of your favorite celebrity competitors. Additional stars will be added. This is a remarkable opportunity for fans of this show. However, there is only a limited number of those opportunities. In fact, one is already gone. We here at Texas Cruise and Travel can and are more than happy to put you on any of these cruises as long as cabins remain available. 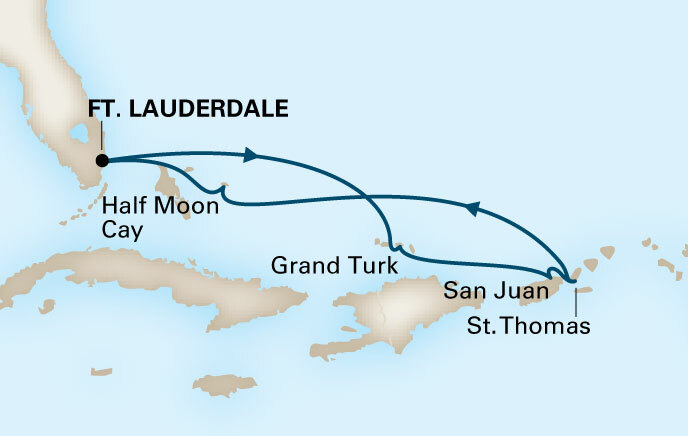 However, we have space reserved on the January 5, 2014 sailing that will offer special pricing and some added amenities to our guests. One of the reasons Texas Cruise and Travel chose this particular cruise was to enable our guests to experience not only the Dancing with the Stars theme experience but also the newest of Holland America's cruise ships. 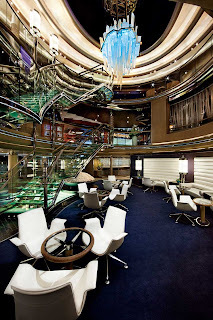 Nieuw Amsterdam, further defines and expands the Holland America Line premium brand with new concepts such as the innovative pan-Asian Tamarind restaurant and Silk Den lounge surrounded by panoramic views overlooking the ocean expanse and the Lido pool. Other additions are an Explorer's Lounge Bar, a premium wine-tasting lounge, an elegant luxury jewelry boutique, new atrium bar area, enhanced and reconfigured show lounge, and a new photographic and imaging center.The ship will continues several much-admired Holland America Line features, including outside-view, glass elevators at midship; the Explorations Cafe -- a cyber-coffee house powered by The New York Times; the Pinnacle Grill and Pinnacle Bar; the innovative Culinary Arts Center presented by Food & Wine Magazine, where culinary experts provide cooking demonstrations and intimate classes in a state-of-the-art onboard show kitchens; an expanded Greenhouse Spa and Salon with thermal suites and hydro-pool, the largest gymnasium ever built for Holland America Line; and a youth facility that includes the teens-only Loft. In addition the ship will feature the family-style Canaletto's Italian restaurant. Just as we selected the ship for it's ameneties we selected the sail date for it's itinerery. This is an Eastern Caribbean cruise leaving from a easily accessible port. 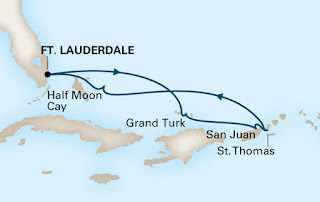 Our itinerery includes: Fort Lauderdale; Grand Turk, Turks & Caicos; San Juan, Puerto Rico; St. Thomas, Virgin Islands; Half Moon Cay, Bahamas. You have a choice of booking into our group or as an individual booking. Only those who select our group pricing will receive the additional group amenities. Our group cabins are categories: Inside J & I; Ocean View F & E, DD, D, & C: Verandah VD & VC; Suites SY. Prices start at $699* for an inside category MM cabin while our group prices start at $719* for a category J inside. Ocean View, Verandah and Suite cabins are available as well. Emal us for pricing. Every cabin in our group can accommodate up to 4 people. The 3rd & 4th person in all categories is $699 per person. Visit our Facebook event page for more information and to indicate your interest in this or any other Dancing With The Stars cruises. To book now or get more information email us at Texas Cruise and Travel. Visit our website for additional vacation opportunities. *Prices are per person, for cruise or cruisetour only, based on double occupancy. Price reflect best fares available for each stateroom on one date that this itinerary is available, from a snapshot taken in the last 24 hours for staterooms in each category. Changing the dates may change prices. Prices do not include Government Fees & Taxes. Pricing and availability subject to change without notice. Stateroom availability varies by ship and category. Images shown are representative of a stateroom in that category. Room measurements are approximated, and rooms in the same category may vary in size and/or have different furniture placement, windows or fixtures from those pictured. Spent a couple of days in New Orleans this past week and as usual had a great time. I did so without even stepping foot in the French Quarter. In fact as close as I got to the French Quarter was to view it from the freeway. Contrary to most people's thinking the French Quarter is not all there is to New Orleans. Did get down to the River though. Took a quick tour of the Chalmette Battlefield where the Battle of New Orleans was fought. While not far from the city center it is inconvenient to the average tourist it is worth the little extra effort to visit. There is also a Civil War era cemetery on the battlefield grounds. Also saw the Malus-Beauregard House built sometime between 1833 and not to be confused with the Beauregard-Keyes House in the French Quarter was the home of the son of confederate general P.T. Beauregard. It is empty now from flooding from Katrina. It is amazingly small by mansion standards. By the way, if you find yourself in New Orleans and only have a couple of days don't miss the World War II Museum. This is one of the most informative and interesting WWII museums anywhere in the world. Even if you have been to the museum in the past you'll want to see it again as the museum has opened two new buildings. The US Freedom Pavilion houses a number of WWII planes and a submarine experience that is unbelievable. But what I want to talk about is found on the West bank of the river where tourist do not usually go. There is a restaurant called Cafe 615 (Da Wabbit). Located on Kepler Street "Da Wabbit" opened shop in 1949, and has been slinging hash ever since. For most of its was better known as a bar with card games in the back rooms than for its food. The current owners took over performed a serious renovation to the interior, fixed the neon sign and turned it into a great place to eat. This Cafe, I know the sign says "drive-in" but trust me it's not and you'd better arrive early because it is going to be packed. While all the tourist are hitting the "famous name" restaurants the locals are flocking to this place. I've heard all my life that if you want to know where the best food is served follow the locals. We arrived about 5:00 p.m. and the place was already hopp'n. However, we were greeted by a friendly voice and a smiling face and seated almost immediately. The atmosphere is "down home" and relaxed. The most popular item on the menu appears to be the gumbo. However, I had the grilled catfish stuffed with crab meat and covered with a white wine brulee sauce. It was absolutely "the best!" In fact, Tom Fitzmorris, a New orleans food blogger says of Da Wabbit, "It would be the Mandina's of the West Bank if Tony Mandina's weren't already there." Often local restaurants aren't always friendly to "out-of-towners" and we often get the idea that they are places where only regulars are welcome, Da Wabbit is among the friendliest neighborhood joints in New Orleans. Believe me, you'll feel right at home. By the way if you're accustom to ordering appetizer just order one. At Da Wabbit appetizers are huge and one order is enough for two people. 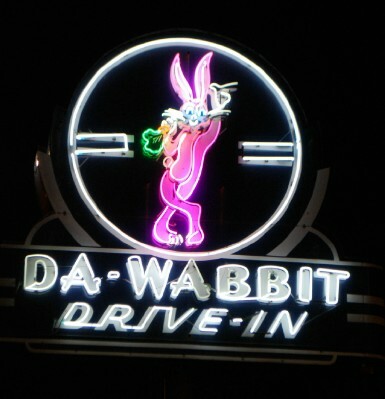 Just saying, there are a lot of great places to eat in New Orleans and for my money Da Wabbit is one of them.